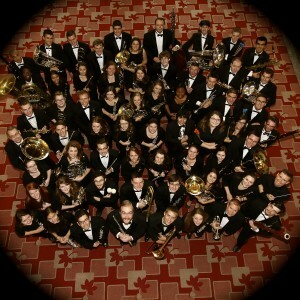 Inspired by the Orpheus Chamber Orchestra (New York, NY), the world-renowned chamber orchestra that – since its founding in 1972 – has been rehearsing, performing, and recording without the aid of a traditional conductor, the musicians of the Ohio State Symphonic Band (left) and their conductor Dr. Scott A. Jones began to explore the ways in which a traditional concert band might adapt to that model of rehearsal and performance. 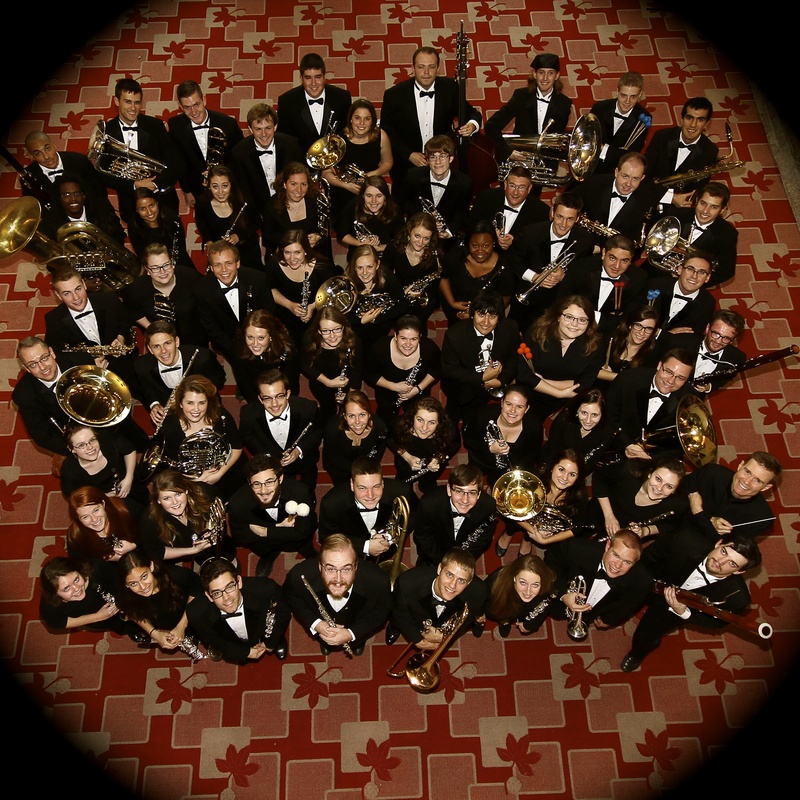 Since early spring of 2014, in addition to “traditional” rehearsal and performance with a conductor, Symphonic Band musicians have been regularly doing so without the aid of a conductor. Committing to this collaborative way of rehearsing a large ensemble has brought all of the musicians into deep engagement with music and one another. The short videos on this blog are designed to reveal what this kind of rehearsal process “looks and sounds like” within a traditional concert band setting. A special debt of gratitude is owed to videographers Maria Androulakakis and Shujian Wang, data transfer manager Mario Marini, sound technician Mark Rubinstein, and eLearning Program Manager in the College of Arts and Sciences Doug Dangler. Without your insights, professionalism, and grace, this project would never have been!